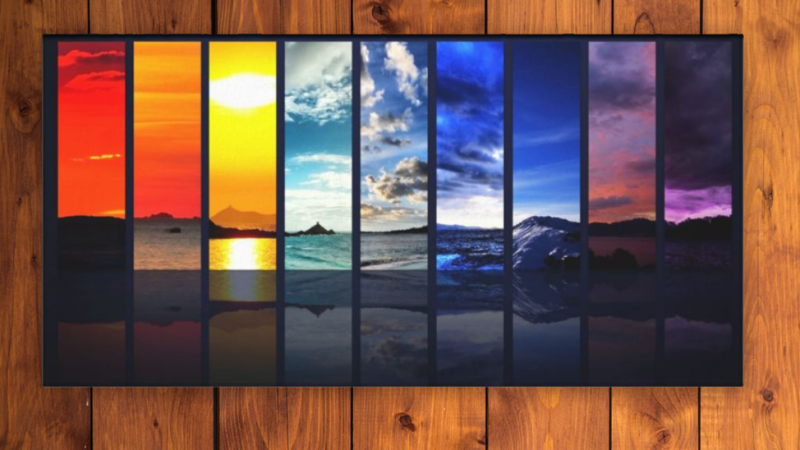 This seasons of nature abstract canvas art print is a wonderful representation of natures colors. 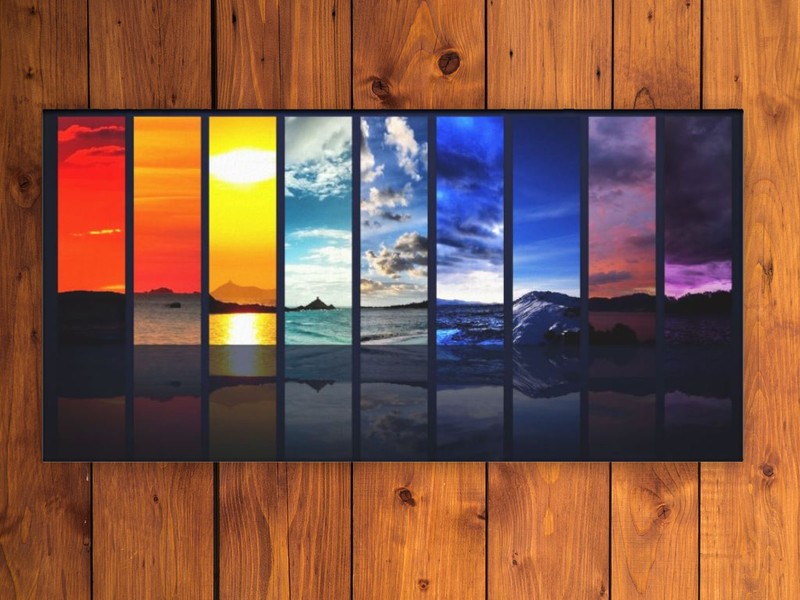 It shows a collage of scenes arranged to form an abstract rainbow. It shows the diverse nature of our environment in all of its glory. Nature prints help to create a calming, zen environment in your home. If you live in a busy city this is a great way to see the beauty of nature when you are not able to do so in person. A wonderful choice for a room featuring neutral colors because it is sure to stand out. If you have a room that features one of the colors in the print this will also work well. Nature prints are a great choice for any office or professional environment. Because nature is so beautiful scenic artwork is usually enjoyed by most people. If you enjoy nature but want to hang art that is a little more modern than a landscape this is a cool option. This is a wonderful gift idea because it is sure to be enjoyed. Perfect as a housewarming gift or for any other occasion. The canvas used is a high quality, additive free cotton blend premium canvas. If you enjoyed checking out this beautiful work of art you my also enjoy the following.